Comment: the Japanese imprint Totokoko is a platform for sharing music which could mainly be categorized as “indietronica”, “folktronica”, “toytronica”, “modern classical”. 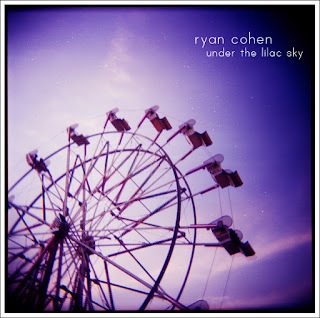 The latter one of the styles is the pre-dominating part of Ryan Cohen`s issue Under the Lilac Sky. Indeed, those 9 compositions are intimate insights based on appealing piano chords and minor yet attention-getting sonic effects around it. At times the elements are more ambient soaked, at times more silence attracted, at times just passing by to visualize their paths in an effortless way. However, the last couple of pieces (I Want You to Know I'm Around, Now I Know For Sure (live ver) ) are the lyric-centred indie folk ones. The favourite of mine is Transmission which is an ambient pop terrain with lofty orchestrations to flit in around now and then. Another favourite of mine is Wintersleep to depict a picturesque landscape while the snow is falling and the faeries are dancing over there. All in all, the result is a solid, fulfilled one with visceral hold.